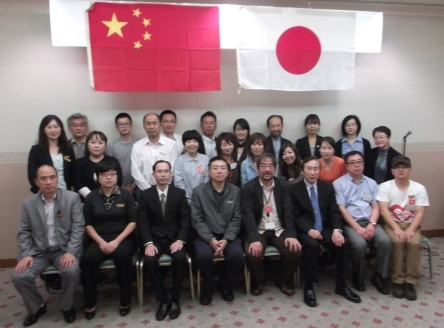 Using JICE Friendship Exchange Fund, China-Japan Friendship Association and Japan International Cooperation Center (JICE) have invited 9 experienced Chinese volunteers from Sichuan Earthquake to come to Japan for 6 days from October 9th to October 14th 2012. They were invited to Japan as one of the projects linked to Japan-China friendship. They mixed with volunteers who experienced the Great East Japan Earthquake and went on an observation tour around the stricken area. 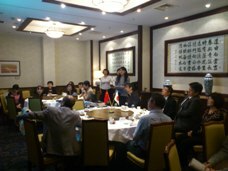 JICE dispatched a delegation made up of 15 Japanese volunteers who experienced the Great East Japan Earthquake lead by Mr. Makoto Ikeda, working for Hokkaido International Exchange Center, to China in November 2011. 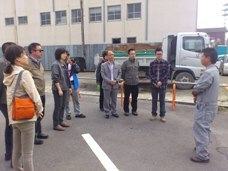 They met with experienced Chinese volunteers and exchanged views at places such as the State Relief Training Base for Emergency and Earthquake in Beijing, where Japan-China Cooperative Relief Strengthening Project for Emergency and Earthquake is being conducted, and also at Beichuan Prefecture, one of the most damaged places in Sichuan Province. This invitation is a part of the Mutual Exchange Project, and a delegation made up of 9 experienced Chinese volunteers led by Mr. Guan Li Tong, Secretary General of China-Japan Friendship Association, came to Japan. The purposes of this invitation are as follows; 1) to deepen the understanding and friendship by interacting with the volunteers working in the stricken area. 2) To Interact with the local people by participating in the volunteering activities in the stricken area. 3) To learn more about how to save people’s lives and to prevent damage. 4) To experience the actual daily life of ordinary Japanese in Japan through home visit to deepen the understanding of the Japanese society and to build friendly relationship with Japanese people. 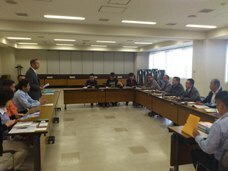 In Tokyo, they attended lectures about projects in Sichuan Province and activities of the Emergency Relief Team at Japan International Cooperation Agency (JICA). 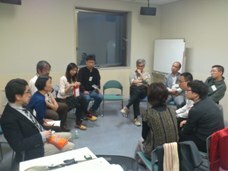 They also exchanged views with the group implementing volunteering activities for the Great East Japan Earthquake. They were scheduled to do a clean-up at the beach in Ishinomaki City of Miyagi Prefecture, but it was cancelled because of bad weather. 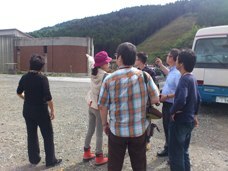 Instead, they went on an observation tour around the stricken area led by the volunteer coordinator of IVY Ishinomaki Office. There were many people still living in the temporary houses although it’s been a year and a half since the earthquake occurred. They talked about their own experiences and encouraged each other. 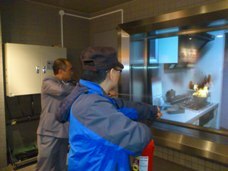 Afterwards, with the help of the fire station in Sapporo City, they had the opportunity to observe the process of instructing how to prevent damage at Disaster Prevention Center of Sapporo City, and they also observed the training process of the relief team at Shiroishi Fire Station. They exchanged views with the experts who were dispatched to the National Relief Training Base for Emergency and Earthquake in Beijing, China. 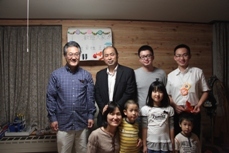 Moreover, they have conducted home visits, met with student volunteers, and exchanged views with the Civilian Volunteering Network of Great East Japan Earthquake called “Musubiba”. They became very intimate with the local people. On the last day of the visit, they reunited with the participants dispatched to Sichuan Province again and each briefed on what they’ve went through the previous year. The participants of this program actually visited the stricken area, and met with volunteers who were committed to relief activities there. Those experiences made them feel that they wanted to do something for the stricken area. We will continue such activities where volunteers can come together to share their own wisdom and experiences to contribute to the people in the devastated area.